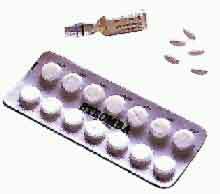 Steroids are synthetic derivatives of the male hormone testosterone. Steroids have both anabolic effects (for example, quickening the growth of muscle and bone) and androgenic effects (that is, effects on the development of primary and secondary sexual characteristics). Steroids are available in tablet, injectable and cream forms. Both steroids intended for humans and steroids intended for veterinary use are used illicitly. Steroids are used to increase muscle bulk and strength and to enable longer and harder athletic training sessions. Some users take steroids for cosmetic (body image), as much as for athletic reasons. Steroids increase protein synthesis, thereby promoting growth of muscles and bones. Steroids also help healing of wounds and reduce the loss of nitrogen in urine. Steroids reduce recovery time needed between training sessions and thus enable athletes to train more intensively for longer periods. Side effects of steroid use can include hair loss (in both men and women), liver problems, insomnia, acne, headaches, jaundice, hypertension and high cholesterol. Steroids can permanently stunt the growth of adolescents. Psychological side effects can include enhanced self-esteem and euphoria, but also increased aggression and irritability, mood swings, changes in libido, paranoia and depression. Men who use steroids can experience shrinking testes, gynaecomastia (enlarged breasts) and prostate and fertility problems. Women can experience clitoral enlargement, shrinking breasts, permanent deepening of the voice, menstrual irregularities and growth of body and facial hair. Side effects seem to increase with prolonged use. Psychological dependence on steroids is possible. Withdrawal symptoms can include mood swings, severe depression, insomnia, lethargy, nausea, headaches and cravings. "Roid rage" refers to outbursts of aggressive, violent behaviour by heavy, long-term steroid users. There is some controversy about how real this phenomenon actually is. Roids, gear, juice, vets' drugs, Caseys.